Kissing should be painless and enjoyable for both parties involved. That being said, waking up with what feels like rug burn on your chin and a layer of skin missing from the tip of your nose is not something anyone should have to endure. 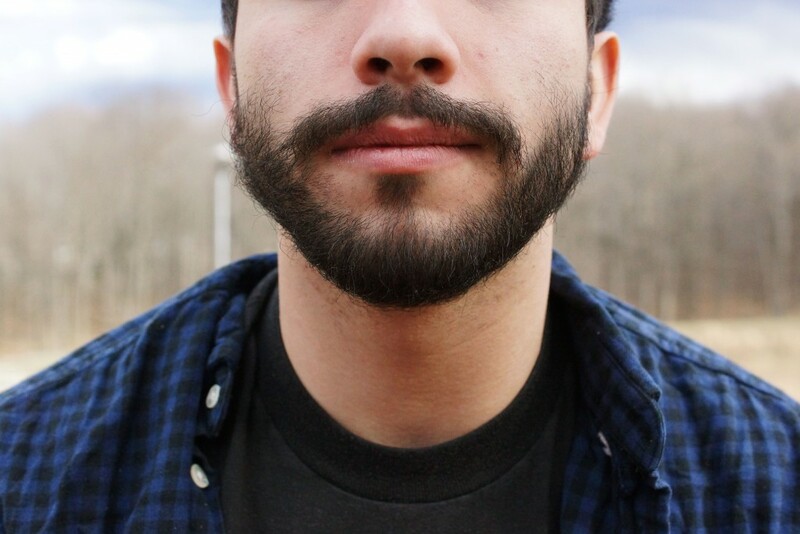 Whether you want to call it beard burn or ’stache rash, it’s an obnoxiously painful irritation that can result from kissing a guy with facial hair. Still, no one should have to choose between clear skin and a good time, so here are a few things both you and your guy can do to treat and prevent this problem. Beard burn tends to happen 2-3 days after a guy shaves. At this point, his stubble is extremely sharp and can wreak havoc on a delicate, hairless face. The only surefire way to prevent any degree of beard burn is for him to either shave it off or tape cloth over his beard. Unfortunately, he might protest the former, and the latter might kill the mood. Dry skin comes off easier than hydrated skin, so the best you can do is generously moisturize your chin, the skin around your mouth and the tip of your nose. You’ll still experience some irritation, but to a lesser degree. Prime your face with a thick, non-scented moisturizer, like Cetaphil. You may also want to consider going light on the amount of makeup you wear. As his beard rips your face open, anything on your skin will be able to go deeper, thus exacerbating the irritation. That being said, your bearded partner should make sure to keep his facial hair clean; his beard can get really gross, especially after eating. The last thing you need is the soy sauce from his lunch acting as an exfoliation aid. In addition to keeping it clean, regular shampooing and conditioning of his beard will make it softer. Normal shampoo and conditioner are too harsh for the face, so suggest he lather up with baby shampoo. If you’re feeling especially loving or just desperate for a resolution, you can gift him a DIY beard conditioner. Fable Naturals shared a recipe that involves mixing four parts unrefined shea butter, two parts olive oil, one part beeswax and an optional few drops of an oil like eucalyptus or cedar. Microwave the mixture in small increments until it’s melted and then place in a small, resealable container to cool and store. Of course, if you’re post-face-maul, it’s too late for these preventative tips. Your chin skin is a texture you never knew it could be and applying moisturizer feels like the devil licking your face. Keeping the area clean and moisturized is imperative for a speedy recovery, but you’ll want to avoid any harsh products. Skip your anti-acne exfoliating wash and opt for something like Neutrogena’s Ultra Gentle face wash in the creamy formula. Not only will it be easy on your skin, but it will also aid in hydration. For moisturizer, steer clear of anything scented or drying. Sticking with Neutrogena, try their Oil-Free Moisture in the sensitive-skin formula. If you’re looking for something to soothe the burning, Burt’s Bees’ Sensitive Night Cream contains aloe, which has cooling properties that will calm the skin. The most helpful thing you can do is communicate with your bearded partner. If he’s oblivious to the problem and has somehow failed to notice that your chin is consistently red post-romp, you have to tell him. Unless he’s inconsiderate, he should want you to enjoy kissing him. If he finds out that the pleasure is somewhat of a one-way street, he should want to help remedy the issue. At the end of the day, if you really like him and his hot beard, beard burn is bound to happen. But, it doesn’t have to be unbearable. Beauty is pain and, even if it’s not your beauty that you’re paying for, it’s somewhat worth it.